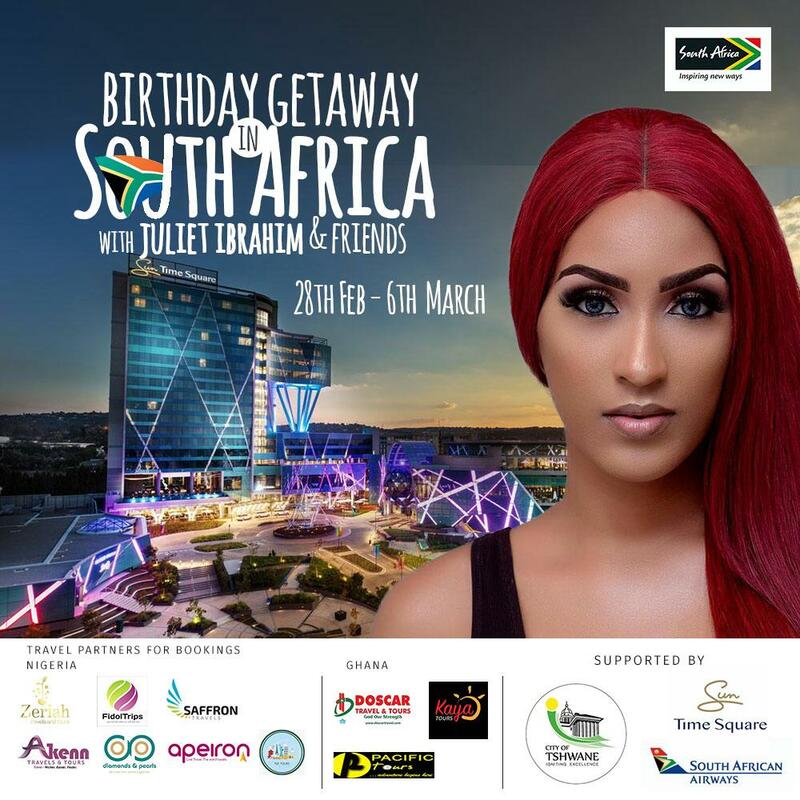 Actress and Entrepreneur, Juliet Ibrahim is organizing a get away trip to South Africa on her birthday. The bubbly and fun-loving actress has extended an invitation to the public to join her & friends on the once in a lifetime opportunity and exciting life adventure. Ibrahim’s celebrity friends from Ghana & Nigeria will be a part of this fun trip to the country celebrated around the world for its amazing tourism centres. Between February 28th and March 6th this year, patrons will get to visit memorable spots in various towns in the Southern African country.